Cemetery sculpture is something I never tire of looking at, in person while wandering a cemetery, or in book form on an inclement day at home. 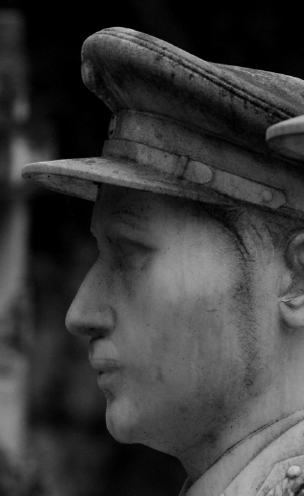 Of Statues and Effigies is such a book. 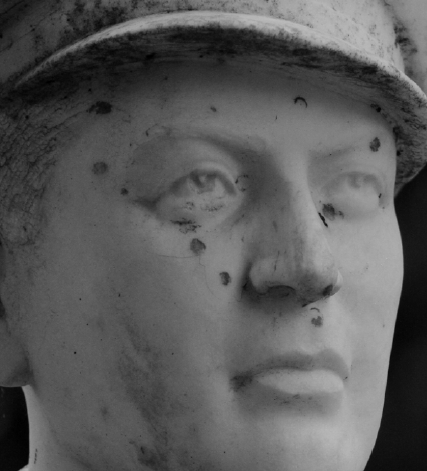 Author Adonis Stergiou concentrates on the faces of the sculptures found in the cemetery of Xiriotissa, Greece. During the Greek War, from 1945 – 1949, this cemetery was also used as an execution site, and for mass burials. But the neglect seems to add another layer of depth to this art. Many appear as though the sculptors caught their subjects amid a “life” moment. Thanos Leivaditis, a Greek actor and prolific screenwriter who penned thirty screenplays during his lifetime, was sculpted to look every bit the unhurried businessman on his way to an important meeting, sporting a suit and tie with every hair in place. Military figures, with uniforms and caps in perfect order, are plentiful here. But look closer and each face will capture your attention. It's almost as if a bit of each individual's personality has been been captured in the likeness. Two soldiers stand close together, gazing out into infinity, but the elements have left marks. It appears as if each man is sporting long sideburns instead of the rain tracks and erosion that marks each face. The sculptor, Nikos Perantinos, was known for his simplicity and classical form, to which the elements have only add enhancement. Another face has been weathered in such a way it appears at first glance as if a tear is escaping from the man's eye. Older statues sport the heavy mustaches and wavy hair of the late Victorian era along with pocking from the elements and a slight cast of mold. The statue of Anastasia Hatzimitala is amazing. The only woman featured in the book, she wears a covering on her head; what appears to be veil like a nun, or a peasant. Her eyes are lifelike and she looks directly at you, into your soul without reproach. 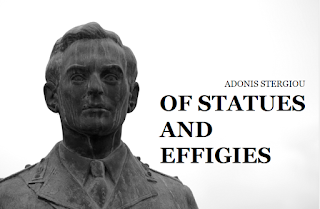 Stergiou ends his book with a photo at a tilted angle that has us looking up at the statue of Athanasios Diakos, a Greek military commander and national hero. Diakos fought against the Ottoman army in 1821 (and lost). 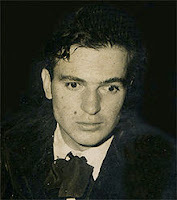 He is remembered as a martyr for the Greek cause. 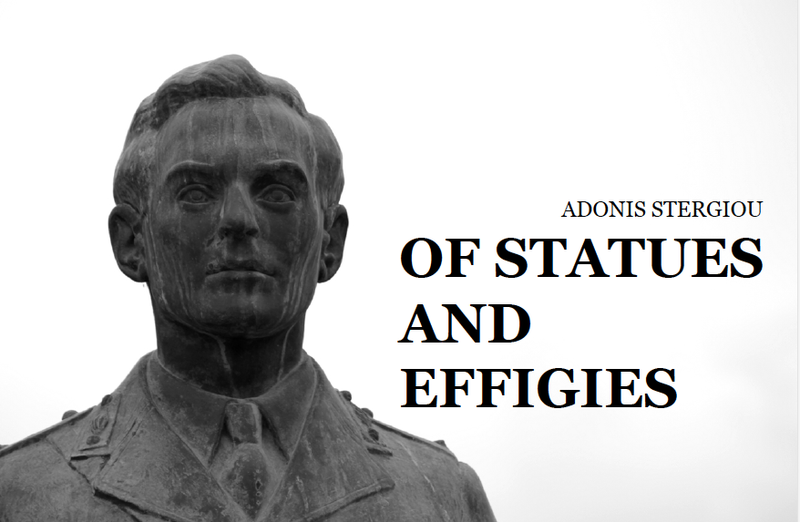 Adonis Stergiou tells us “This project was about neglected memories which are still visible and present among us.” After reviewing this book, I see those weathered and time-worn faces of cemetery statues in a more artistic light.